Are you following Buy.com on Twitter? Did you see their Tweet-N-Seek contest? 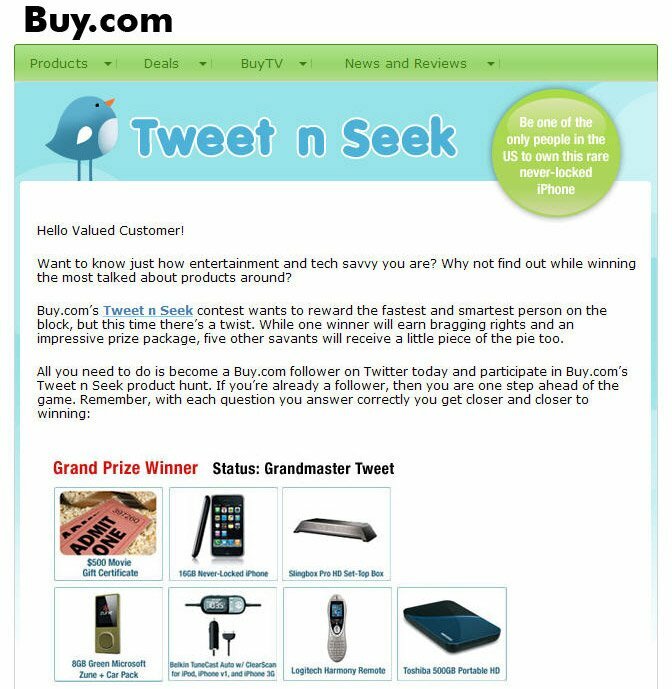 Each contest starts a Twitter-based scavenger hunt that forces Followers to seek the next clue on Buy.com or one of Buy.com’s Partners. 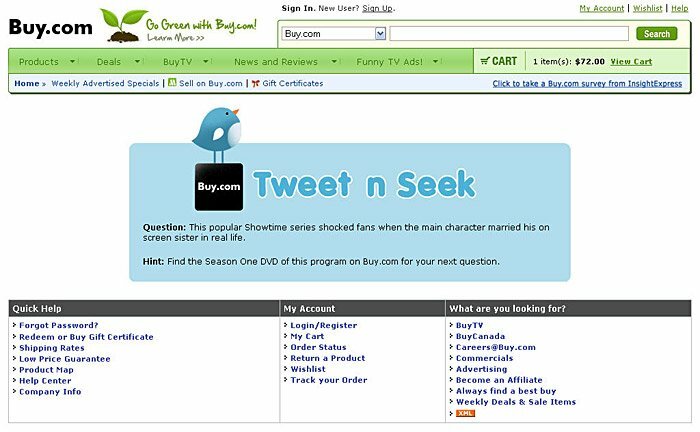 At the end of a dozen-plus clues, the Followers are directed to post all clues on Buy.com’s Facebook page and then send an email to special Buy.com contest address with their Twitter Account name, real name and all answers. To be at the forefront of the retail industry right now you need to find innovative ways to reach your customers, respond to them, and thank them for their loyalty. With the Tweet n Seek promotions, we have raised brand awareness and received a great response from our followers. The result? Getting tech-savvy customers to actively “discover” new things that their demographic would be interesting in buying. Now that’s brilliant marketing!